We’re excited to host a twitter chat about older Americans and money on May 9, 2013 from 3-4 p.m. EDT. We’ll have financial experts taking questions on what older Americans can do to find out if their financial advisers are really experts in their needs. 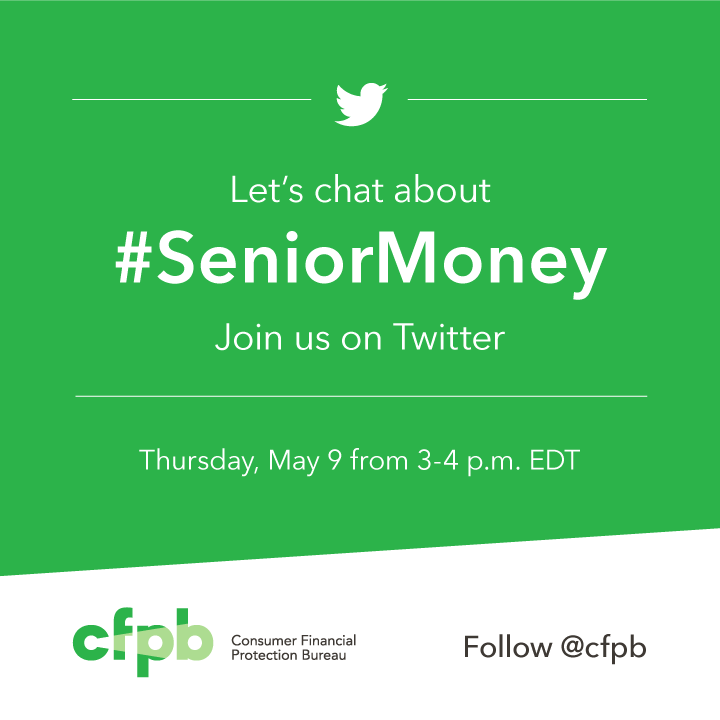 To participate, tweet questions with the hashtag #SeniorMoney and follow us @CFPB .